The centers of these 10K yellow gold antique cuff links feature polished circles. 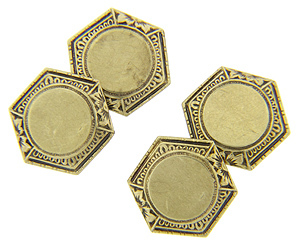 Intricate decorative edges with geometric and floral patterns surround the center. 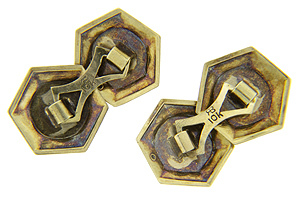 The art deco cuff links measure 5/8” from point to point. Circa: 1920.